WV 2 + KV 4 16333400 https://www.kaercher.com/tn/home-garden/cordless-window-vacs/wv-2-kv-4-16333400.html For effortless window cleaning: the vibrating KV 4 cordless wiper, which dispenses water electrically and vibrates, removes the dirt – the WV 2 Window Vac removes the dirty water. The WV 2 and KV 4 make a great team for clean windows and other smooth surfaces. First, the vibrating KV 4 cordless wiper removes dirt from surfaces effortlessly. Excess fluid can then be removed easily with the WV 2 Window Vac. The KV 4 dispenses water automatically and together with its vibration function dirt is removed easily – without any scrubbing. 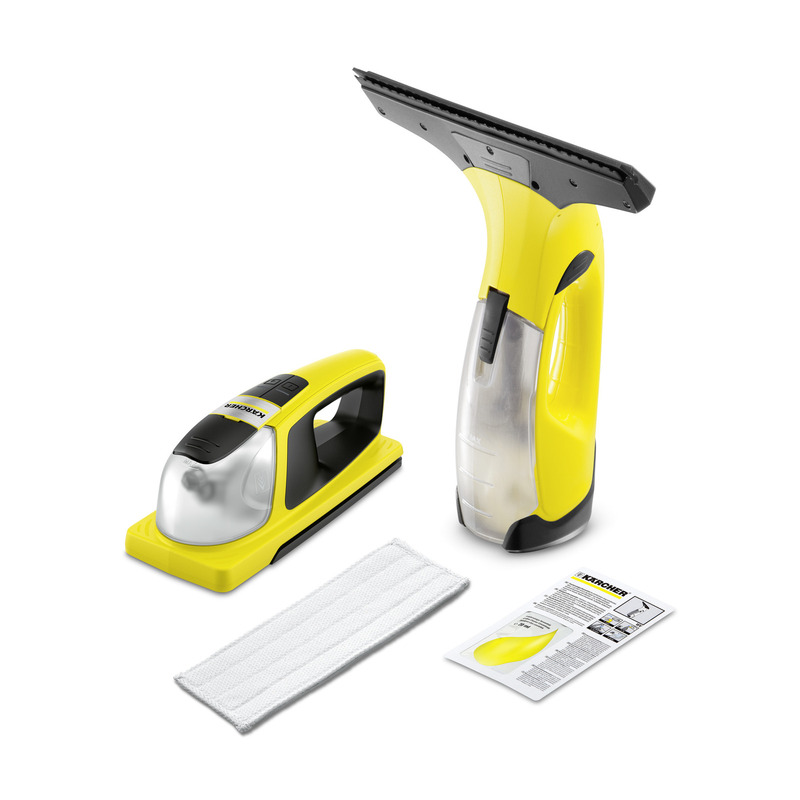 The Window Vac's electric water suction guarantees drip and streak-free surfaces. The new Kärcher Duo is not messy, but easy to use – and it saves you a lot of time and effort too.